May is coming up quick, and those in and around the LAX apartments, that means one thing: Cinco de Mayo and all the fun celebrations that come along with this amazing holiday. Across the city, displays of Mexican-American culture and heritage will be going strong. Don’t you want to get in on the act and have a great time as well? We’re going to hazard a guess and say yes, which is why you’ll definitely want to scope out what LA has to offer in terms of spectacles that will be going down once May 5th arrives. Don’t have a regular source of info who keeps their ear to the ground and informs you of where the best happenings will be taking place? Don’t worry, we’ll act as a stand-in today, as we run down some of the city’s hippest and most happening Cinco De Mayo celebrations, where you’ll need to go, and how you can have the best time partying the day away. Let’s begin, shall we? For those of you who aren’t familiar with the holiday, it might help if you knew what Cinco de Mayo was, no? At the most basic level, this is a celebration of the Mexican Army’s 1862 victory against France during the Battle of Puebla, which occurred during the Franco-Mexican War. 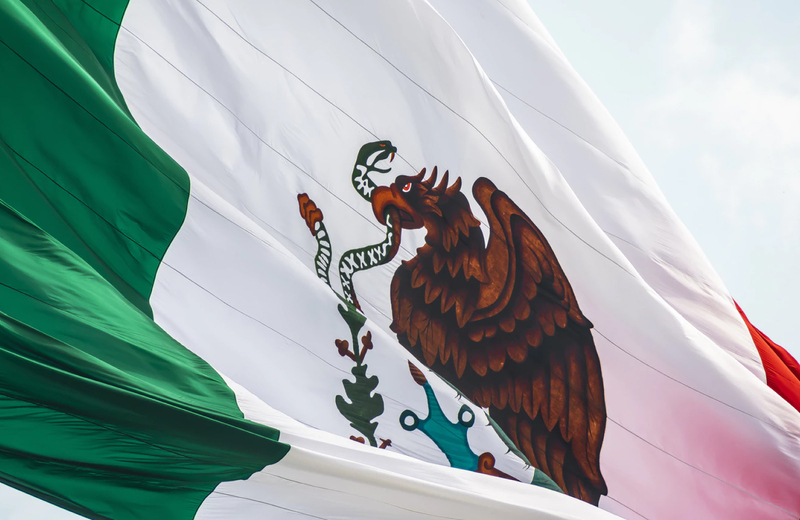 In Mexico itself, it’s not that big of a deal, but in the United States, it has taken on a life of its own as a way to pay tribute to Mexican culture, “particularly in areas with large Mexican-American populations,” according to the History Network. As Los Angeles is one such city with a large community of Mexican-Americans, it makes sense that Cinco de Mayo would be widely hailed, and that many events would go on in commemoration of its passing. With that, let’s take a look at what will be going on this year. Things will kick off in the morning around 10:00AM, then, once the marching is over, the event will morph into more of a festival at Oakwood Park, complete with live performances, various entertainers, food vendors, face painting, children’s arts & crafts, and the all-important piñatas. You know where the El Pueblo Historical Monument is, over there on Olvera Street? Some consider it the birthplace of Los Angeles, and over the Cinco de Mayo weekend, there will be all manner of festivities taking place in the area. Live music and dancing, a mariachi band, Folklorico dancers, kids activities, and, once again, piñatas. The streets will likely be flooded with revelers partaking of all the fun. Make sure you get down there and make yourself a part of the lively crowd. Now, technically speaking, the fourth of May is not exactly the fifth of May, but this Cuatro de Mayo Night at Descanso Gardens certainly qualifies as part of the Cinco de Mayo Weekend, and all the authentic celebrating will be done in honor of the fifth, so it qualifies for the list. Head to the gardens in La Canada Flintridge from 6:00PM to 9:00PM that Friday, then prepare to be treated to a down-home Mexican meal and zesty mariachi music right on the main lawn. This will be a four-course meal, mind you, full of barbacoa de mole, cerdo, and plenty of other Mexican classics to fill you up. Make sure you get your tickets in advance to join in on the fun. Lucha VaVoom is well-known for their “high-octane” Mexican masked wrestling shows. Their upcoming spectacle, the Cinco de Mayan Gigante at the Mayan Theatre in DTLA will be one for the record books, stacked with some of their best performers and attractions. As the event poster so clearly shows, you’d best start preparing yourself for Amandititita, Los Master Plus, Aztec dancers, folkloricos, mariachis, minis, and some of that sweet, sweet tequila. Just head over to South Hill Street one either Friday or Saturday, tickets in hand, to enjoy what is sure to be a thrilling show. As an annual favorite since its inception in 1990, Fiesta Broadway will be back again this year to thrill the crowds. It’s important to point out that this event usually doesn’t fall on Cinco de Mayo precisely, but rather, takes place on the last Sunday in April (in this case, April 29th). That doesn’t keep Fiesta Broadway from being one of the biggest and most spectacular Cinco de Mayo events in DTLA, however, and they’ll be putting on a dazzling show again this year. Several blocks will be completely overrun with music, games, vendors, talented performers, and more, with plenty of people out participating in all the festivities. This one will be around the Grand Park Area, specifically, Broadway from Temple to 4th Street. Get out there from 11:00AM to 6:00PM, and remember that attendance is free, so you’ll only need to bring yourself in order to have a great time. Those in the know might already have had an inkling, but if you’re newly exposed to how fun communities like The Madrid handle celebrations, consider this your introduction. What else would you expect from an atmosphere that’s so conducive to having a great time? From the amazing residences to the fine features within every living space and across the community, The Madrid is tailor-made for a great experience. Be sure to check it out and make it your home base for having a great time.